OMEC also take up all the electrical and civil works incuding Switch yard, Over head transmission lines to provide end-to-end solutions. - Switchyard and substation erection work including civil work up to 220KV. - Supply of structure, GOD, DOF, HG Fuse, LA, Conductor, Clamps, Insulators, cables etc for project upto 33KV including erection service with civil work. - Installation and testing of breaker, transformer, LT and HT panel up to 220KV. Keeping in mind the various requirements of the customers, we are involved in providing Electrical Switchyard Erection Service. On offer from us are maintenance and Switchyard Erection Services. These services are rendered by our highly experienced professionals, who hold in-depth expertise of this domain. Furthermore, these services are priced by us keeping budgetary constraints of the global customers in mind. We undertake switch yard erection for our esteemed clients. The erection is done for Switchyard of 22KV, 33KV, 66 KV, 132KV & 220KV These include power transformer structure, CT, PT, ACB, VCB, protection and control systems. Further, our range is offered at competitive prices. We are engaged in providing Switch Yard Erection Service to our clients. These services are rendered by our qualified experts keeping in mind the specific requirements of clients. This is the onsite photo of our work going on at Satara. We undertake Switch Yard Erection Services (220 KV Sw. Yard) for our esteemed clients at convenient charges. The erection is done for Switchyard of 22 KV, 33KV, 132 KV, 220KV substations. Superior quality raw material and components are used in the fabrication process to ensure maximum durability. Owing to the years of experience and rich industrial knowledge, we are able to render Switchyard Erection Services. We provide these erection services to switch yards up to 33 KV as per the international quality norms and parameters. Proper discussion is done by us with our customers before starting the process of erection in order to know their actual demands and desires. Reckoned as one of the leading business name, we are betrothed in delivering a broad consignment of Switchyard Installation up to 132KV. After understanding the needs and desires of our customers, these services are delivered with perfection. To add, our ability to deal with the modifying needs of our customers has earned us massive appreciation in this nation. We hold expertise in meeting the demands of Switch Yard Erection Services. These services are handled by experienced industry professionals so as to ensure that erection job is flawlessly handled. Further, while delivering the services, we also ensure that specific demands of our customers are successfully understood and met. We undertake switch yard erection for our esteemed clients at convenient charges. The erection is done for Switchyard of 22 KV, 33KV, 132 KV, 220KV substations. These services also include CT, PT & LA, Isolators, gantries and towers if required. The switchyards are of radial or Lilo type with around 8 to 10 Bays. We also take Switch yards for generation also (wind or thermal). We undertake Switchyard Erection for our esteemed clients at convenient charges. The erection is done for Switchyard of 22 KV, 33KV, 132 KV, 220KV substations. These services also include CT, PT & LA, Isolators, gantries and towers if required. The switchyards are of radial or Lilo type with around 8 to 10 Bays. We also take Switch yards for generation also (wind or thermal). 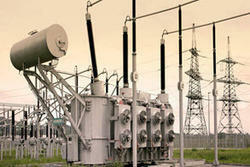 We are one of the leading names, occupied in offering Switchyard Erection Services to our patrons. With the aid of our capable professionals, we have been able to provide quality assured services to our customers. Additionally, we offer a complete erection services at reasonable price.